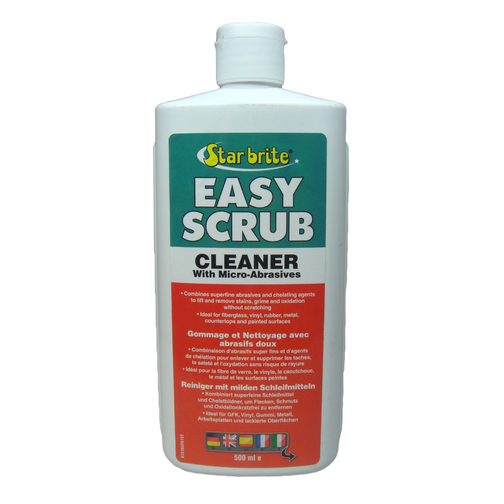 A mild abrasive cleaner specifically formulated to clean stubborn stains and ground-in dirt. We use this solution on the deck where the abrasive compound helps to scrub the harder stains out. 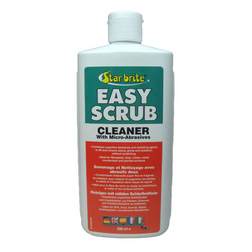 This mild cleaner is designed to loosen dirt with abrasive beads. It is specifically useful for dirt on fibreglass, metal and painted surfaces - and also very useful on many sinks, counters, stove tops, showers, baths and cookware. Simply pour the solution on to the surface and lightly scrub in a circular motion and then rinse off.